I got to find out last Friday. I’m here to tell the tale, so obviously the outcome was positive! I’ve gotten a lot of questions from friends and family, so I’ve organized this post to answer the most common questions. I’ve been sailing here, 120-160 days per year, since 2003, and this is the first time I’ve been unable to get back to my gear. It wasn’t a big wave day, or super windy – just biggish wind swell (mostly knee-to-waist-high, a few shoulder-high) and an ebbing tide. I’d been at Camp One and was heading back to Kanaha, playing and enjoying my way downwind. 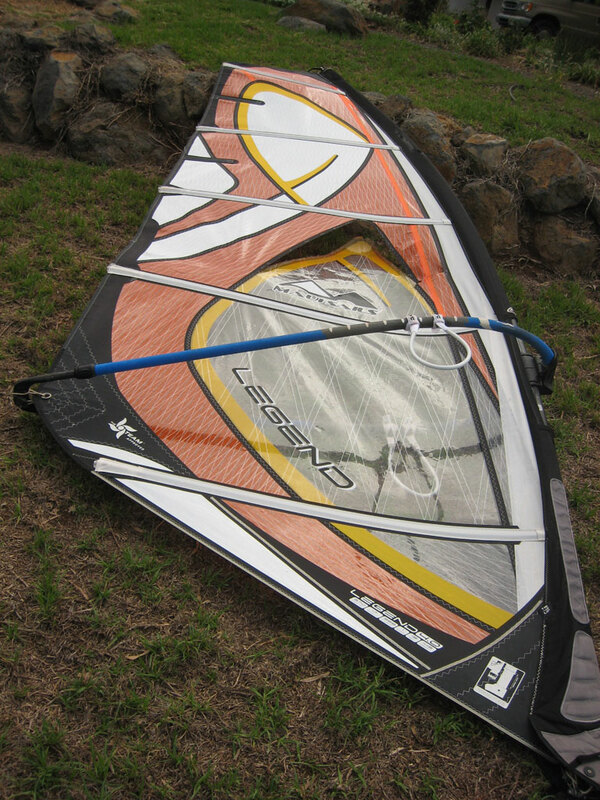 I was on a 4.0 Maui Sails Legend and 83 l. Thommen Maui WaveX. I was sailing alone, because my husband is off the water for a while due to an injury, and other friends had either already sailed, or weren’t sailing that day. 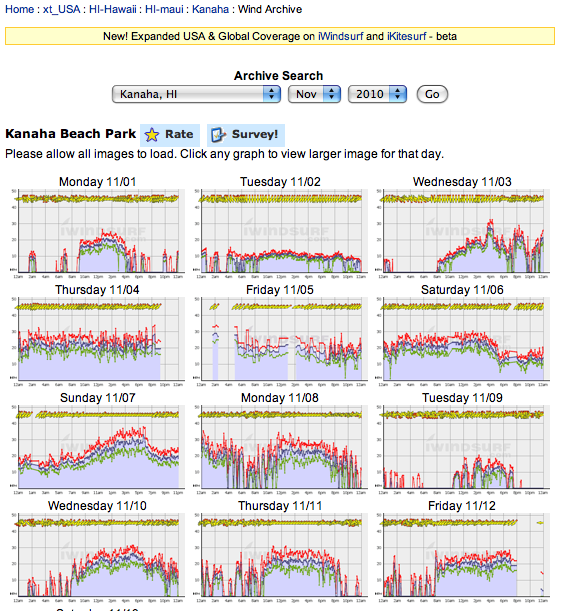 Kanaha wind graph for Friday, September 14. I launched sometime after 3. I don’t remember what made me fall in originally – a missed jibe, or a wave, nothing dramatic. I came up a few feet from my gear and saw a wave hit it, and take it about 30 feet away. I swam for it as hard as I could, but couldn’t make any progress – the current was really strong, and the gear landed in a position that gave it a lot of windage. What did you do to try to catch and retrieve it? The gear drifted, and I swam after it, for several minutes. 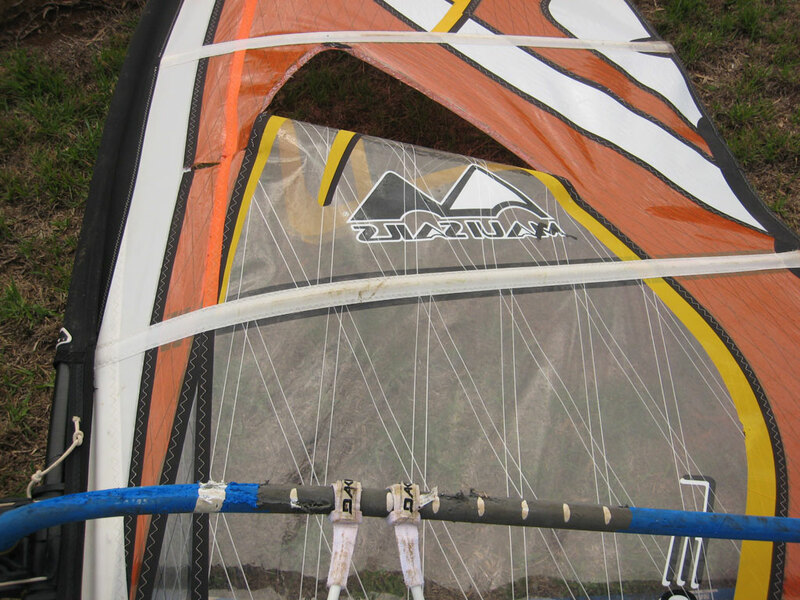 When I saw some windsurfers near, I yelled and waved, and Paul dropped in to snag my gear. This usually works, but I still couldn’t gain on him – he was drifting fast with 2 sets of gear! There can be a strong current inside the reef on an outgoing tide. 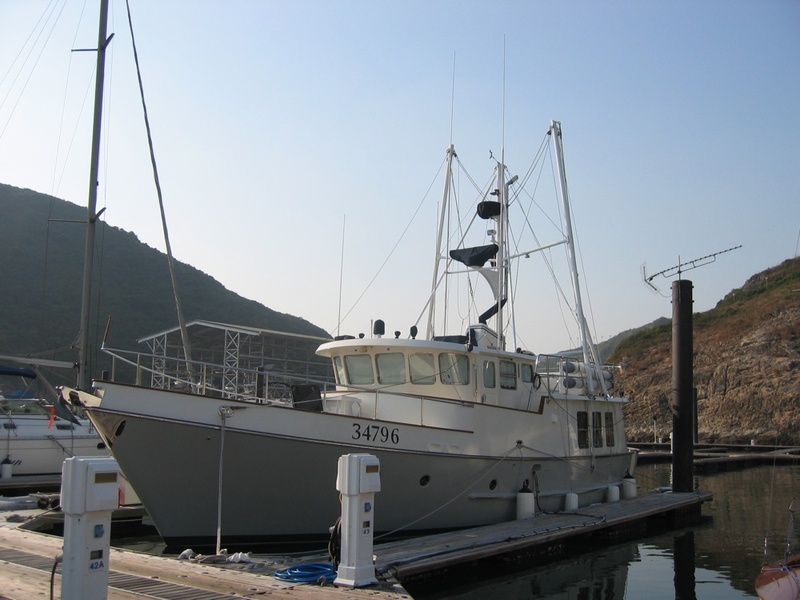 How did you get back to shore? 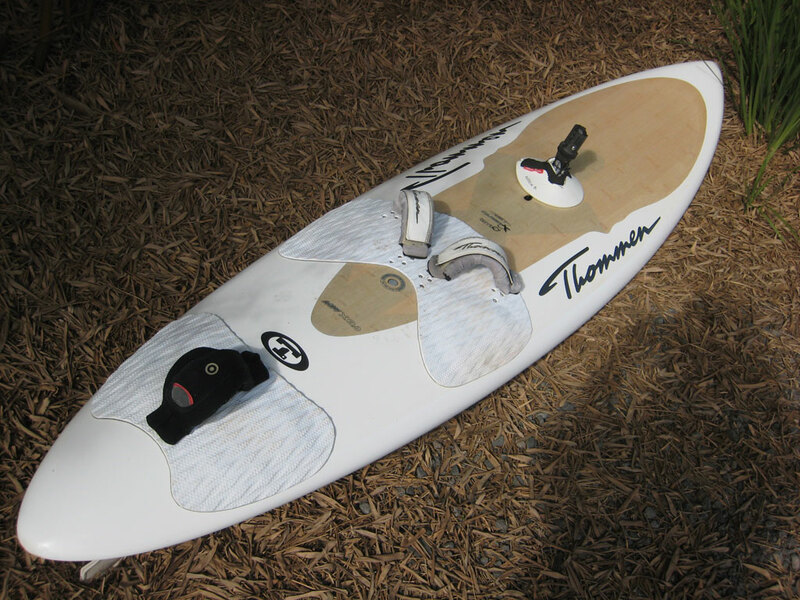 I flagged down another windsurfer, and rested a bit on his board (thank you, Tom!). We tried to drag down to Paul and my gear, but weren’t making any progress, and were both getting tired. Some SUPers came by, and I asked if they would give me a ride in, and they did. It was hard work for him (thank you so much, Ken! ), and we came in at kite beach below the lifeguard stand. I knew my husband would be worried, because I’d told him I’d probably be out less than an hour, and it had been about two hours, so I called to let him know I was okay, and what had happened. It was late in the day (about 4:30 when I started in and about 5:30 when I got back to my van), so the lifeguards were gone. I called the police non-emergency number (244-6400) to let them know I was safe and NOT to send out a search party if someone found the gear floating without a rider. An officer called me back right away to take my report of what had been lost, and told me some likely spots to check where gear sometimes drifts in. In the hour or so of remaining daylight, I and a few other Uppers regulars checked the beach between Lowers and the harbor (thanks Keith, Dave, Deb, Garth, and Val!) but didn’t see the gear, and no one we talked to had either. Did you get your gear back? Someone walking along the beach Saturday morning spotted it, noticed the name and phone number, and decided to make sure it got back to its owner. She carried it back to her father’s house – about a mile, she said! – and called me. She wouldn’t even take the money I offered to thank her – just said it made her feel good to do something nice for someone. Where did it come in? My gear washed up around Waiehu Beach. 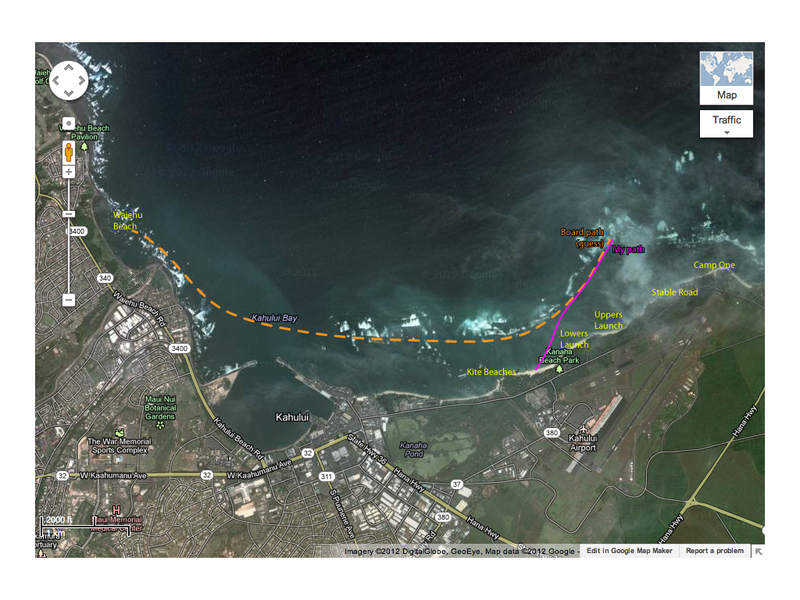 Here’s a map showing Kanaha Bay, and my guess at the paths my gear and I took to shore. Perhaps it would have landed at one of the kite beaches, or the harbor breakwater, if the wind had been more onshore, or the tide was coming in instead of going out. 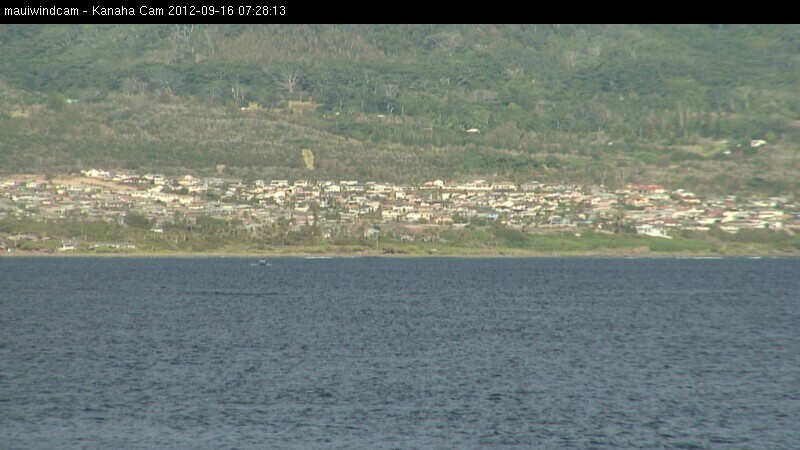 The Kanaha windcam on MauiWindCam.comlooks toward Wailuku and Waiehu. 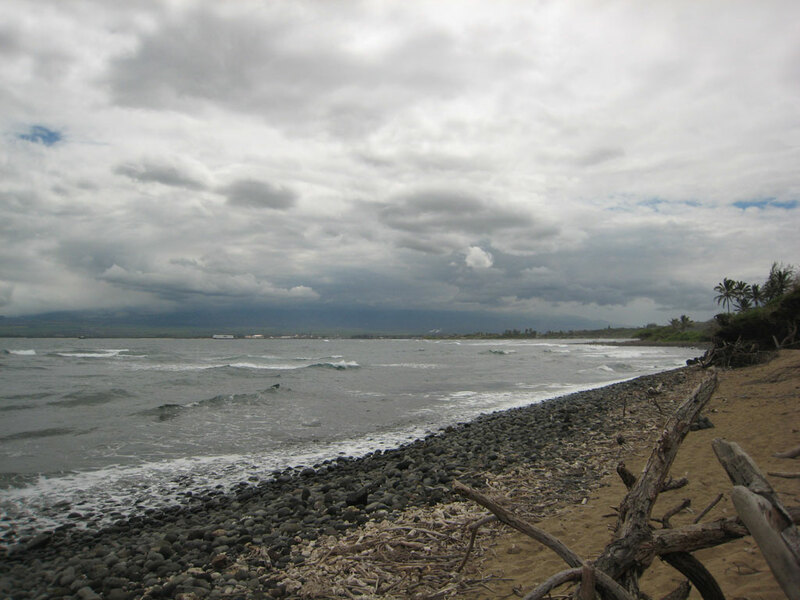 Here’s what the shoreline is like at Waiehu, and the view back towards Kanaha. 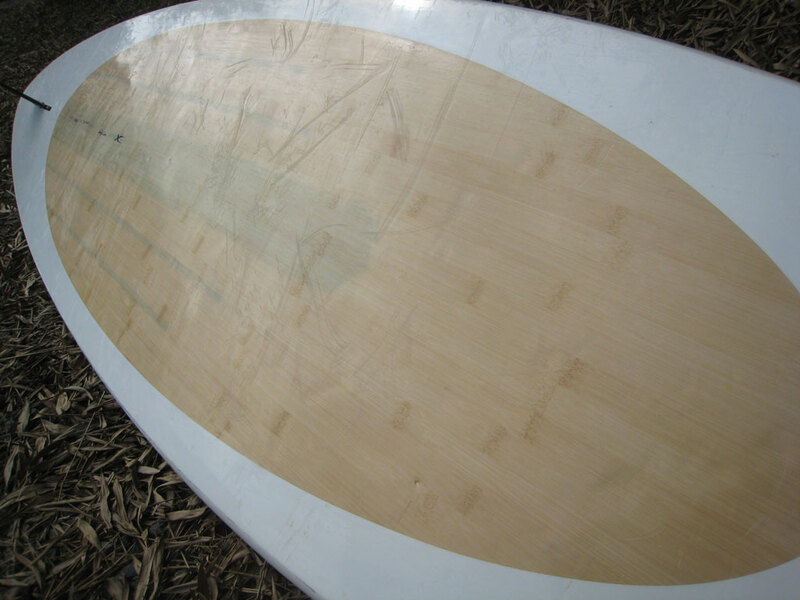 The board fared pretty well, with no damage to the deck, and shallow scratches and a few dings to the bottom. The sail took a bit of a beating. 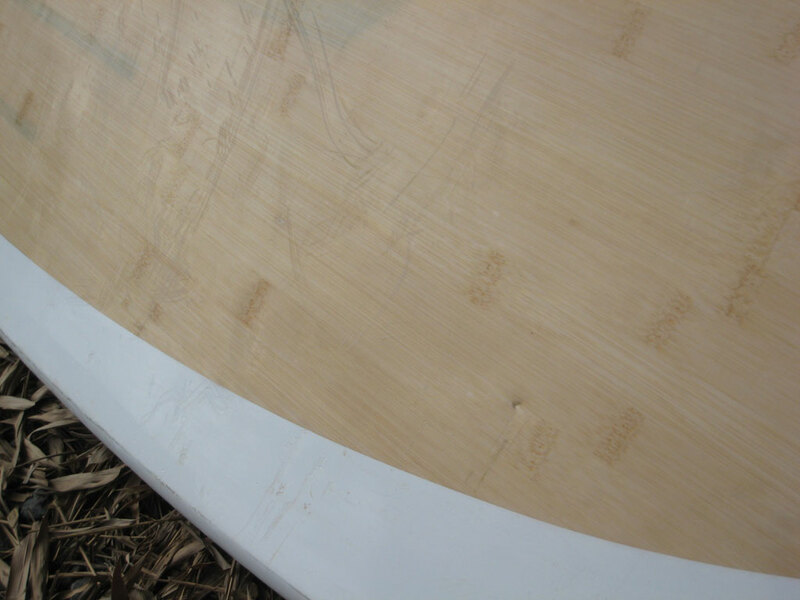 The stitching at the top of the window ripped out, and the mast sleeve is torn – reef rash. 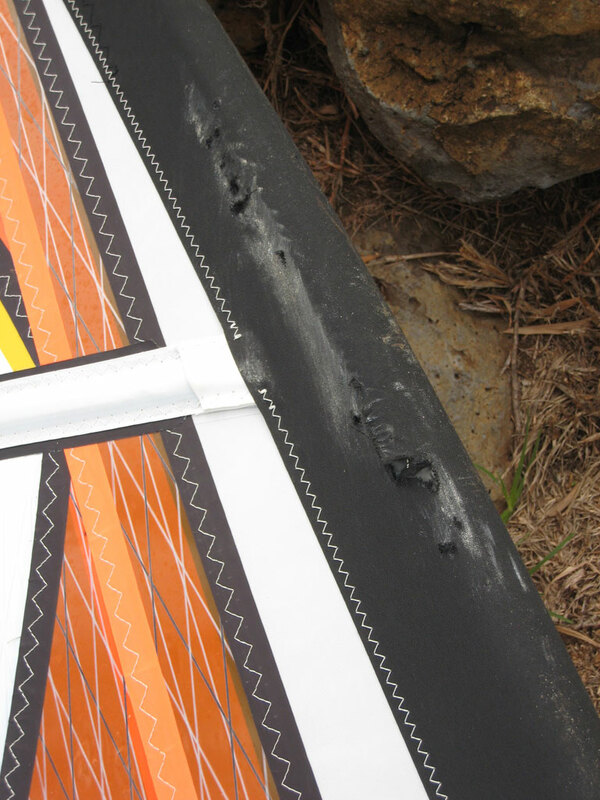 I sent the pictures to sailmaker Artur Szpunar at Maui Sails, and he thinks it can be repaired. The boom grip is pretty chewed up on one arm, but the boom itself seemed solid and undamaged. I’ve sailed it since, and it was fine. The mast looks good, but I haven’t sailed it yet. Are you worried about it happening again? Did I answer all your questions? What else do you want to know? 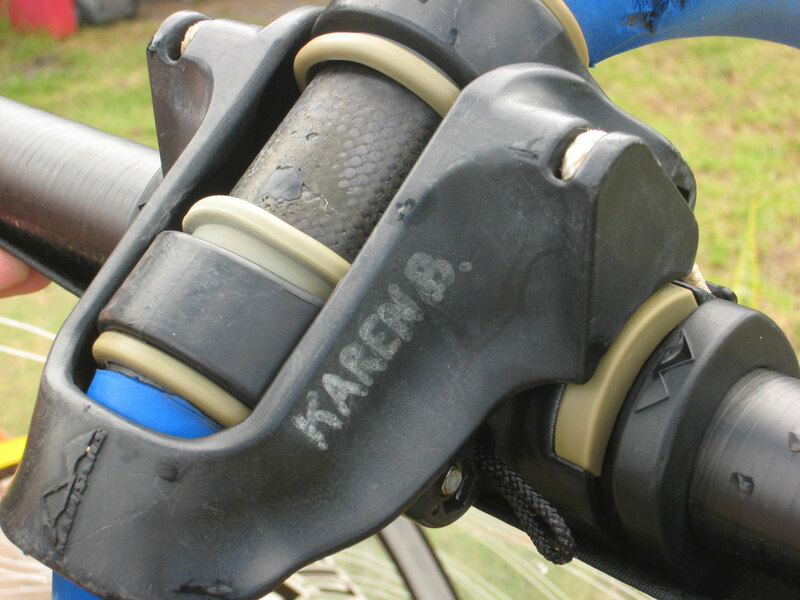 Do you have a story about getting separated from your gear? If you have tips on how to reunite swimmer and gear, or get both back to the beach, separately but efficiently, I’d love to hear them! 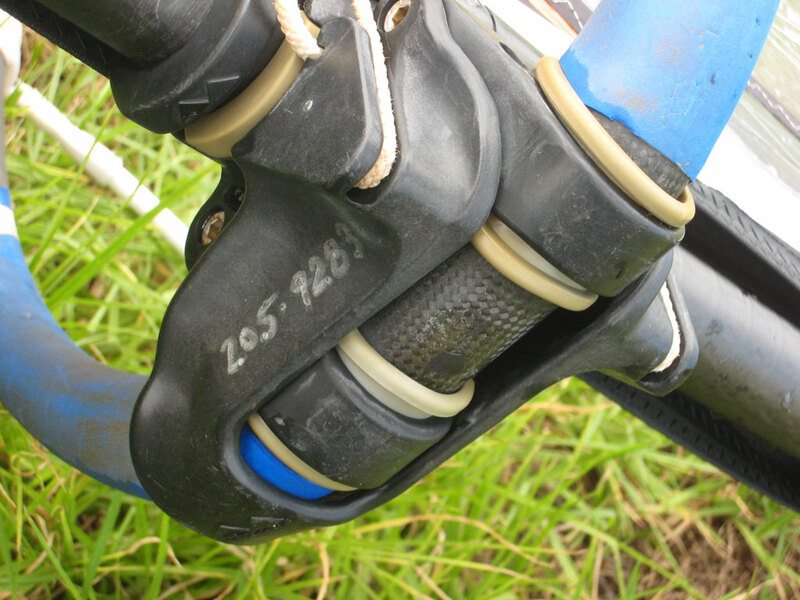 I’m especially interested in hearing about how people have gotten successfully reunited with their gear on the water. Sailing in – the way it should be! Maui is not a place where we would wake in the morning and wonder if we might have wind – Maui is a place where we would wake in the morning and ask how much wind would we have. 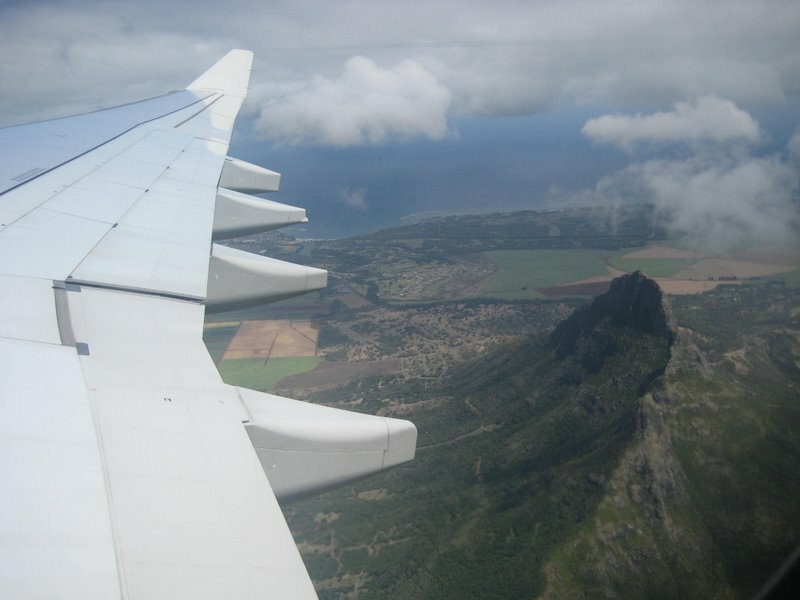 We went to windsurf and we did more – for 17 days we flew over water. 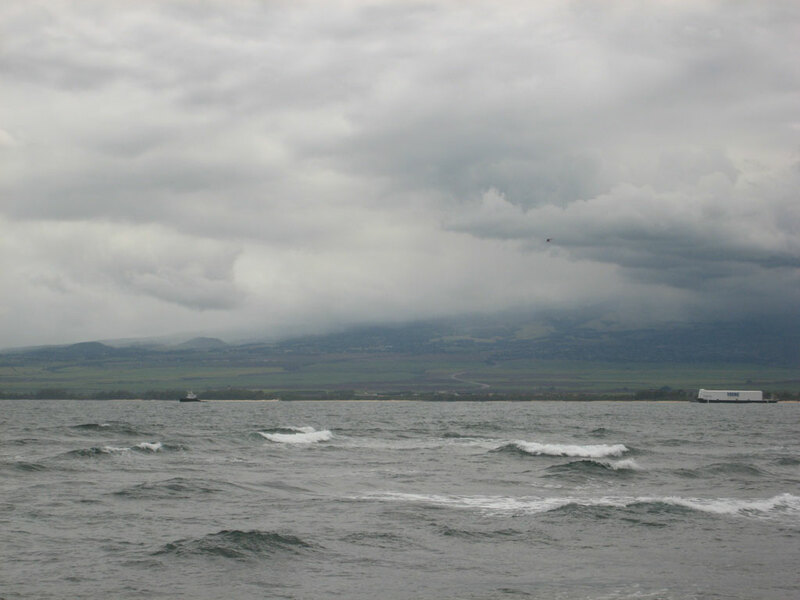 “If you can sail in Maui you can sail anywhere” …..Alan Cadiz, June 2011. Alan Cadiz has inspired us from the first day we tried to water start about 5 years ago (I remember one thing he taught me then that I use to this day – ‘look where you want to go’). Alan is in love with the wind and capturing the wind so he and others might make passage across the sea. Maui demands that every moment, you watch that wave form and flow, you see that gust of wind long before you feel it, you move your body, dance with your feet, and play with your hands – your body, wind, and water become one, working together, fueled by the energy of those powerful 35 knot winds that charge into your sail, and form waves, daring you to sail up, over, and down them. It is both a dance and a battle between man and nature over ownership of a board and a sail. These become one and the dance begins. “Let’s sail in control” …………Karen Bennett, June 2011. 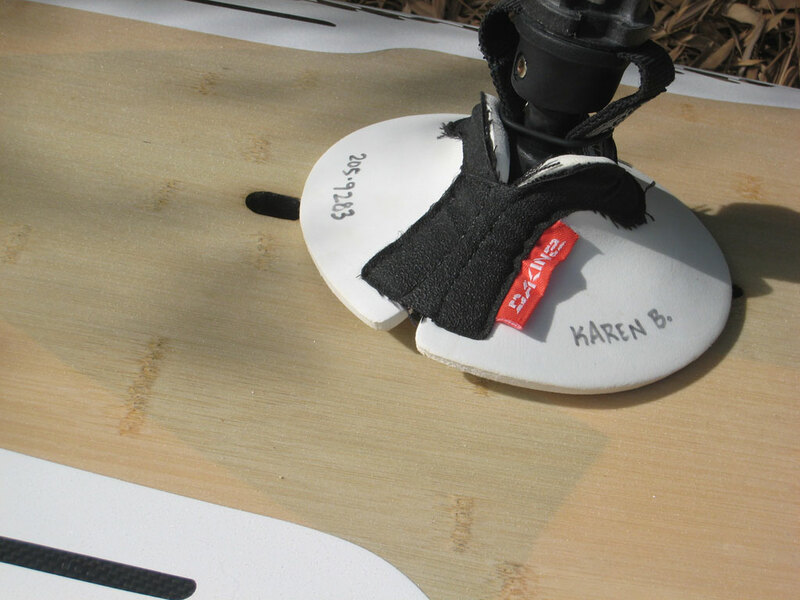 Karen has inspired us for 5 years, her precision in rigging, her ability to spot that one detail in your sailing that needs adjusting and then you go perfectly, her ability to show you how to enjoy sailing through chop ( and our memories of her telling us 5 years ago ‘hang like a baboon off the boom’…..this has saved us so many times). We stayed in a one bedroom condo overlooking a manicured garden, and just beyond, the ocean. Every evening we would sit on the balcony enjoying a well-earned beer, watch the sun paint beautiful pinks in the sky as she slid behind the horizon. We watched the other holiday-makers cook dinner on the communal barbecue in the garden. They all seemed so happy chatting away, meeting for the first time. The drive from our little condo to the windsurfing beach was about 30 minutes across the island, we would drive through a corridor flanked on both sides by majestic mountains whose job it was to form clouds as the sun rose and so make the wind. As we drove through the corridor the wind was strong, the two windsurfing boards were lashed to the roof rack and the strong wind passing over them would make a loud humming noise, the louder the noise we knew we were in for a day of plenty of wind. Driving back was an artist’s dream, with massive powering clouds all the greys and blues of any palette and one day we saw not one, but three rainbows, one after the other, so strong – psychedelic colours. In Maui you rent your gear and a very clapped out vehicle and drive it to the beach and rig it in a beautiful park full of red and orange little birds. We would do this every day. Rigging the gear was a bit of guess-work for us, often getting it wrong but wow do you get skilled and fast at changing sails. After the gear is rigged you walk a little path to the sandy beach…walk…well not so much walk but rather push, lean, battle the powerful wind to get to the beach. David always carried the sail as I think I would be hang gliding if I did !!! and I would carry the board that did all in its power to escape my grasp, then join them, them back for the second rig, and finally launch and off across the bay …hurray! We would often walk past the locals to see and talk about what they were rigging. However, more often than not, everyone seemed to have their own idea…we would laugh at that….then from one local guy we learnt that if the sand was exfoliating his legs he would rig a 4.2 ….mmmm interesting rule of thumb !!!!! The windsurfers in Maui come in many, many varieties, but the common bond is the love of the sport, their commitment to one another, a life on the water, and the smiles on their faces. The feeling of community is strong and on many occasions they offered advice, help, and a friendly “Good morning” to David and me. ( I remember a bunch of old guys helping us separate a mast that would not separate. At first we had a sort of tug of war: no success, so then they helped us fix two booms either side of the join, and by working these back and forth, hey presto! The mast separated…..we use this technique all the time, thanks.) There are so many people on the beach from the pros, the almost pros, the racers with sails as big as skyscrapers, to beautiful ladies with long blond hair and nail polish, to those who touch the years of 80 and 90 and still go out, to those drifting as they learn the water start, to those throwing themselves off their rigs as they try to claim a carve gybe, to those hunting with their toes as they enter foot straps for the first time, all glow with the spirit of Maui. Maui’s Nature is always ready to remind you of her strength. 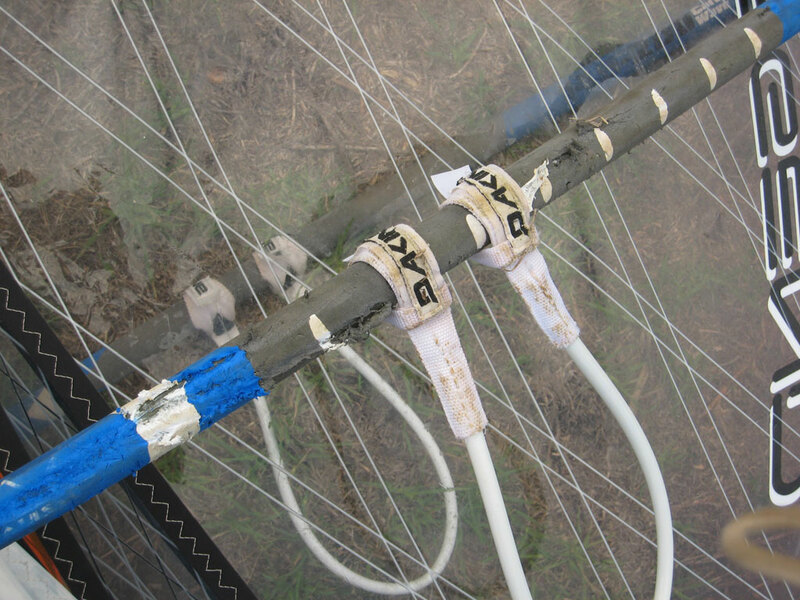 In order to move up the beach I dragged my windsurfing rig through the water, lifted it to sail off, but wait, what is all this thread on my boom and mast and sail, is my sail unraveling ? I will just wind this thread around my finger and break it off. Hmm, no luck. OK, I will place the thread in my mouth and bite it off….BANG….in a split second I was stung by the jellyfish I had placed over my own body …how stupid but the human mind sometimes forgets. I ran to the fresh water shower then on to our car, to pull from our lunch sandwiches pickles in vinegar. The pain would not go and now I could not speak and my heart was racing and David was on the horizon sailing. Suddenly Franze was there to help – what a man, a star at 85, he was there to windsurf. He dropped everything, piled me into his car, and whispered in my ear as we drove like 007 he would not be stopping for lights neither would he give way … mmmm Franze, I might be OK from the jellyfish, but a car crash mmmm … any way we got to emergency MAN the PAIN was intense but after sitting and waiting and waiting the pain subsided and I decided I was OK ….David was still sailing but at the end Franze returned to the beach got David and brought him to the emergency ……it’s not good separating a husband and wife over a jellyfish ..lots of kissing needed !!!! There are good people out there, thanks Franze. Then Maui’s Nature gives you a gift you will always remember. I was sailing out from the beach and saw in the water what looked like a large piece of bamboo or wood ???? I sailed closer but knew I must avoid it, then as I got closer and closer WOW such an incredible sight the most beautiful head of a turtle looking straight into my eyes – speaking to me with those eyes, before majestically diving deep below my board. Was Nature saying sorry or having shown me a bit of a tricky character was she now showing me her beauty ? David and I learnt to fly over the ocean in Maui, we learnt to love and play with the waves rather than fear them, I discovered speed and how to carve and control my rig, David learnt to make many of his carve gybes. We learnt to sail without gloves and shoes we learnt to feel and see the wind. What to say about Boracay??? What comes to mind? … An Island of Extremes. From those who swan around in the Hiltons and Shangrilas, being sure to tan all over while sipping the cocktail of the moment…slaves of fashion. To Asian couples who MUST wear identical his-and-hers clothing, a rather slave-like striped dress for her and a similar shirt for him. They travel in groups directed by their leader, to have this fake tattoo or buy these ridiculous straw hats, so they might continue to look more and more alike…slaves to ticking the box of this being done and then that. To those no matter their age who spend their every day on the island, living in shanty homes, squashed together in tiny villages. There is no privacy; you share the same water pump so every one knows when you do your washing and how long you spend cleaning your teeth…slaves to their own culture. At the bottom all the dogs and cats who run free over the sand, happy to say hi, find a friend here and there…slaves to no one. It goes on, this Island of Extremes. There are days of clipping the sea as we sailed over turquoise water with the wind from the NE, a clean wind that fills the sail, a sail that lets you lean back, confident it will take your body weight as you stretch back. In the early morning we would sail like this over flat water, calm clear and clean as we cut through the water planing across the bay. I usually took an 86 Starboard and a 5.0 sail. Then there are those other days with the wind from the SE which brought bits and bits of stuff. What was this stuff? Well, everything from nature’s cast offs such as leaves and twigs, to thousands of empty plastic sachets (the problem being the Filipinos are so poor that they buy just one shot of shampoo or toothpaste or what ever in these sachets, they have no money for a bottle or jar or even a big sachet). Add to this condition millions of coconuts being washed in over the reef and remaining in your path for I guess too long. Sailing through these is like trying to run through a mine field. 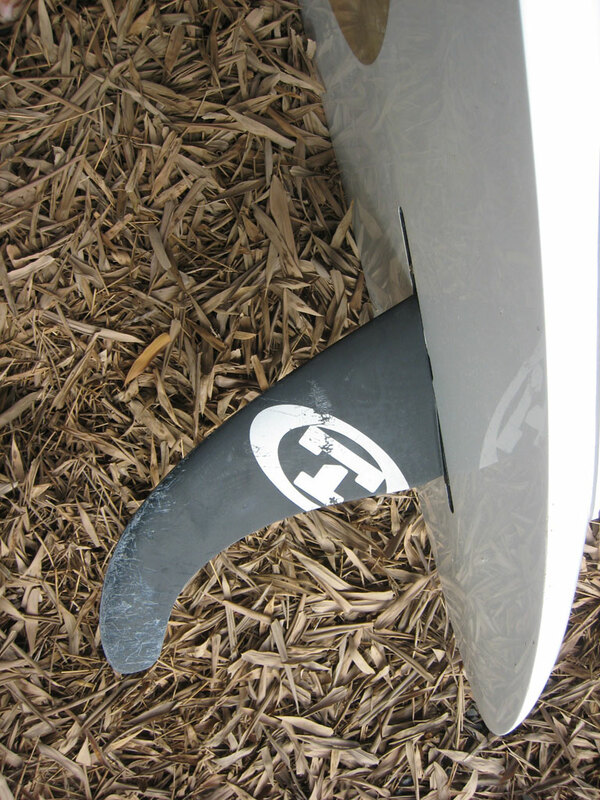 Get one on your fin, and I did: it stops you dead in your tracks, so woopy over the front you go!!! Maybe it’s good practice for equipment maneuvering while sailing!!! Then there are the winds that come and you can plane and plane all day out by the reef – why do they come? No one knows. They go – why do they go? Again, no one knows and so you potter around. These are trade winds, they are not influenced by land masses or temperature near or on the island. Then sometimes you step on a sea urchin – boy oh boy! But the local remedy, the juice of a calamine, soon cures you and off you go. Then sometimes you find sand, or you land in the longest sea grass imaginable. Nothing beats the extremes of the tide. With the Spring tide, the sea leaves the bay completely. The locals walk out and out for miles, collecting fish from the ground as they go. With the high Neaps, the tide is so high it comes up over the beach, up over the road, and into all the businesses. A power of its own taking back what rightfully belongs to it. The windsurfing equipment is more like a mystery. At first the center had nothing left from last year’s stock, so we mixed and matched, being creative – using some of this and some of that – as one would stranded on a desert island. Then like magic, bits and pieces of the 2011 equipment arrived on the back of a tumbled-down lorry, not all at once: sails without masts, or booms without harness lines, so once again we mixed a bit of this and a bit of that – it makes you think and it makes you be creative. David and I did manage a very fun thing on our last day. 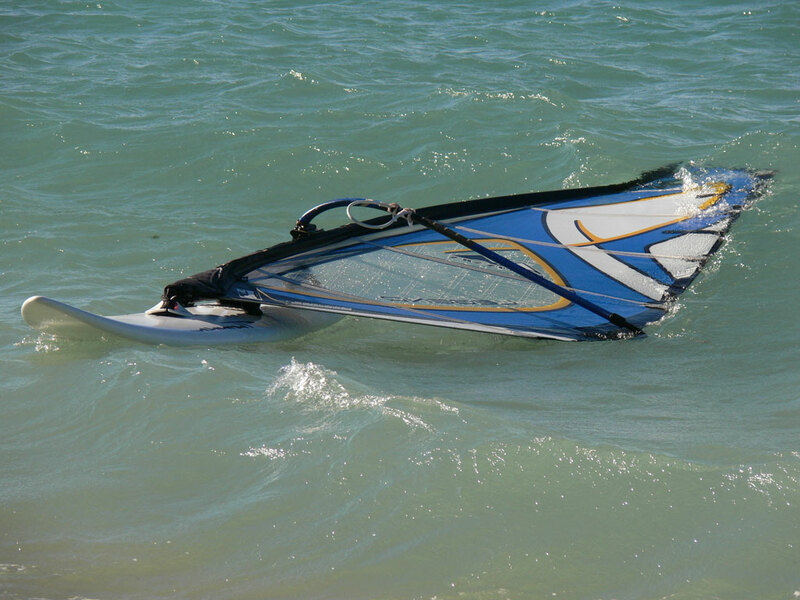 We took out the 2011 Gemini, a 2-person windsurfing rig – what fun – we sailed across the bay and made it back. I helped save two kittens and two young dogs – I hope they make it on the island. It will not be better next year – probably worse. The road will be even more muddy and the took-tooks (rusty old motor bikes that have a very precarious shell of a side car attached where you and everyone else sits to travel over the islands) will be even noisier. Boracay – loud – mad – unusual treasures and a desert island where we windsurf!!! Get angry, and laugh – a place of extremes. 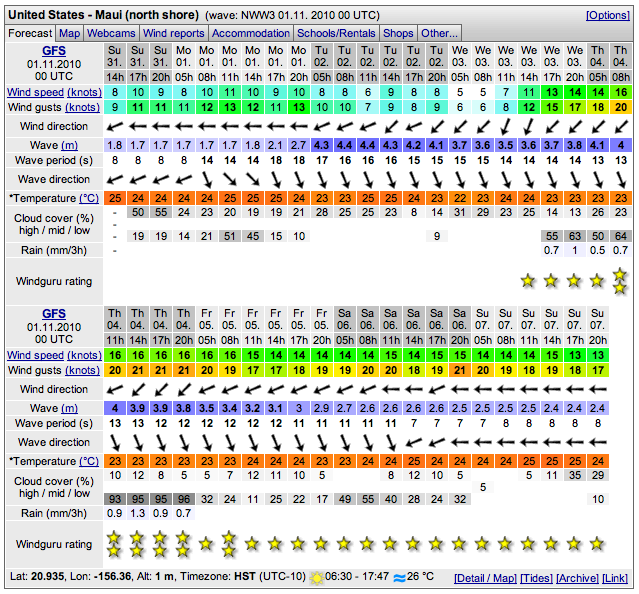 People often ask when is the best time to plan a windsurfing vacation on Maui. As usual with questions involving “the best”, the answer is “it depends.” It depends on what “the best” means to you – what are your priorities? What is most important for you: the most windy days? the strongest wind? the largest waves? the most sunshine? the lowest airfares? There are pros and cons to different times of year, so I’ll try to give you some general information and resources so you can choose what fits best for you. In general, the summer months – June, July, August – have both the highest wind, and highest probability of wind. Likewise, the winter months, especially December and January, have the lowest average wind speed, and lowest number of windy days. 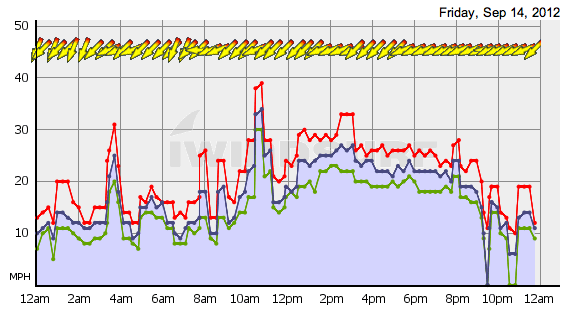 The chart above from Windfinder.com illustrates it well. 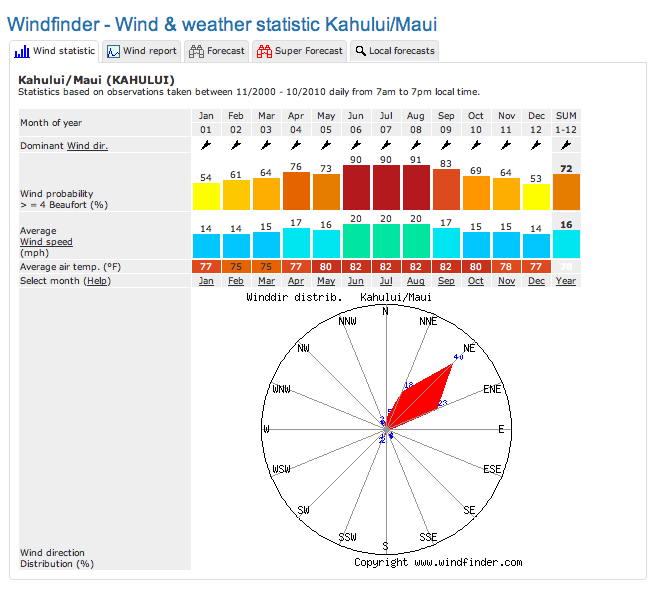 You can also check the iWindsurf archives for daily and seasonal wind patterns, and the National Weather Service climate data. Besides wind, other seasonal considerations are waves, and tourism. We get more waves from north swells in the winter months, starting in October, and running through April. The biggest waves are in December and January, and are too big for us, but there are usually only a few days each month when they’re that intimidating. 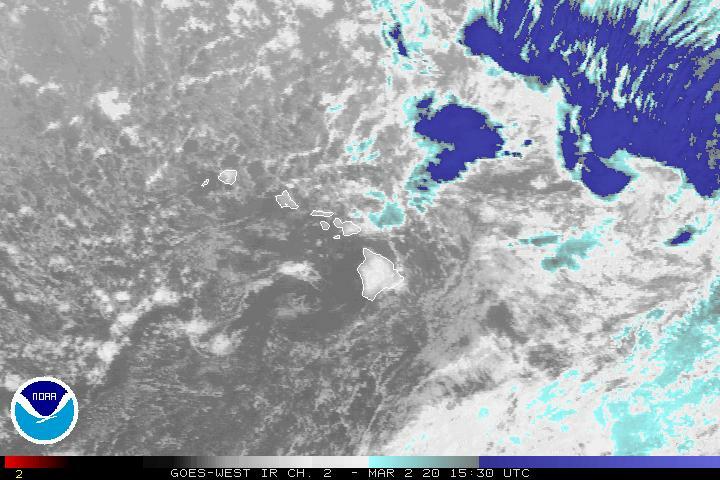 We can also get rainy Kona storms in December and January, and through March. The busiest times for tourism are summer, Thanksgiving, and Christmas-New Year’s: thus, the most costly accommodations and airfares, and the most difficulty booking them. September and October are pretty peaceful here; I’d say they’re the lowest months for tourists. January is pretty light too, after the first week, then there are bursts in February and through the spring months (various holidays and spring breaks), building up in April and May to the busy time in summer. 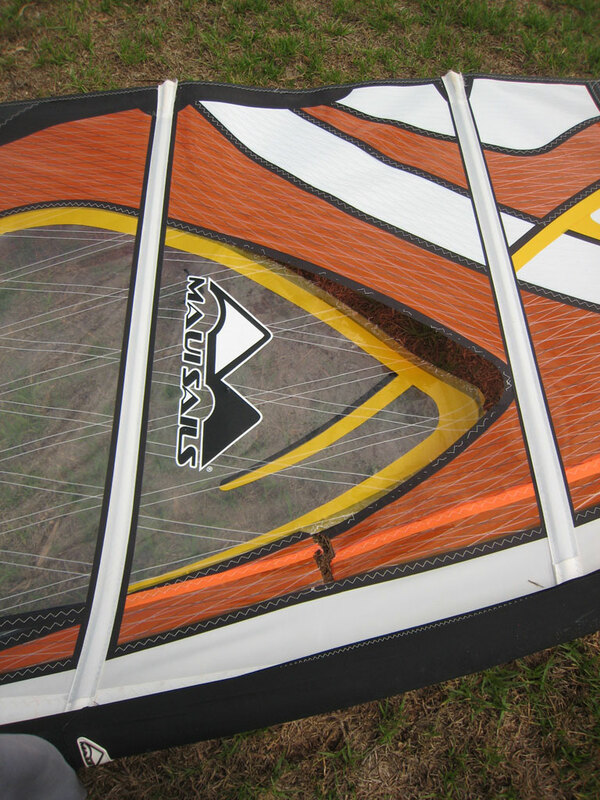 The people at Maui Windsurfari are helpful regarding windsurfers’ needs. I hope this helps you with your planning. Do your research, and make your best choice based on your priorities. However, the caveat is, as a windsurfer, you probably already know that despite the statistics, you can get atypical conditions at any time! And of course, if you’re interested in lessons, contact HST: I’d love to help you build your skills, have more fun windsurfing, and make the most of your time on Maui. Got back into HK yesterday morning after a night flight back from our windsurfing trip to Mauritius. A very beautiful and fascinating island. David and I had a chance to do a little hiking (between windsurfing extravaganzas) along a few tracks that led into unspoilt almost African Savannah-like lands – if you squinted you could imagine the lions lying in their pride amongst the long grasses under the umbrella-like trees. Here, too, we found banana trees growing wild with incredible banana flowers which seemed full of seeds ready to burst, we saw magnificent lizards living near swamp land, and incredible coloured birds, quite small, fluorescent greens and others with red eye shadow complemented by red tummies. The Indian Ocean, which washed the coarse sandy beach, was full of colour bands of dark greens and turquoise so crystal clear it was easy to enjoy the corals and fish below. The hotel where we were – the Indian Resort should have been named Faulty Towers. Bell boys brought messages a bit too efficiently as they entered your room late at night to wake you from your slumbers to hand-deliver your messages to you in your bed; often the water ran out just as you were all soaped up; the plumbing was magical as pipes were never joined so the shower water poured down the drain only to re-appear flooding the bathroom floor and running out into the hallway. Wonderful ginger and white cats dominated the restaurant, and these I fed masses of spam and gallons of milk. Everyone spoke French, so David quickly became proficient once again, having been schooled in France from the age of 5. I, on the other hand, pointed a lot. The course run by our usual coach Simon Bornhoft was brilliant. The other students were excellent sailors, each with over 40 years sailing experience …. yep I came bottom of the class but I did not care as I used every ounce of energy every day just to keep up with these guys. We had incredible winds, so being so light, I was always in jeopardy – hardly heavy enough to hold down boards and sails which became ever smaller as the winds grew stronger (more lack of skill ‘me thinks’). I must have charged across the bay at warp speed most days. I sailed a free wave 85 with a 4.5 sail – a small rig for me coming from the lighter winds of Hong Kong. The majority of the students rented their rigs from Club Mistral located right on the beach and most helpful; a few brought their rigs with them from the UK. Sailing in Mauritius is wonderful as it has a bit of everything – a reef protects the inner bay so just a little choppy, a great area to practice carve gybes, fast tacks, helicopter tacks – these Simon taught as well as flat water wave riding – I sort of hung in there not good enough to do all of these but that is OK and Simon helps you where you need it. The reefs further out vary in difficulty – there is Little Reef good for beginning to either take a gentle look or ride the waves, then One Eye and then Minoa for the more adventurous – I had a quick sail out and back but others had a go at wave riding. I think we only had two light wind days; we took the SUP out and surfed the waves on these – another new experience for me. Simon is a good coach, as no matter the conditions, light winds or strong, he can teach students of all levels something. David and I continued our holiday for a few days after the course, trying to put into practice what Simon had taught us – quite a challenge, but good. We are now back on board with our catties, nursing our bodies that need a well-earnt rest, and planning our next trip to Boracay, Philippines. 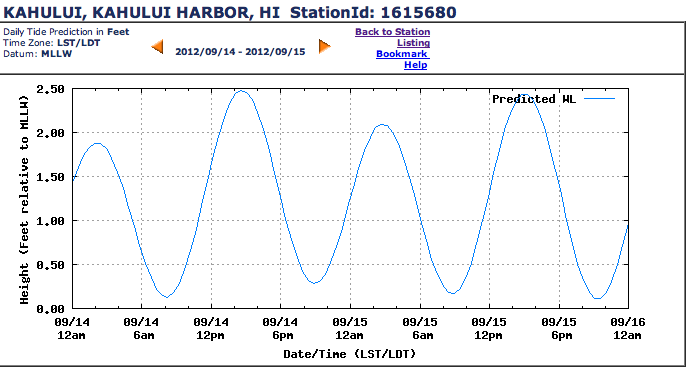 Maui’s north shore will see some VERY impressive waves next week. My husband was trying out his new video camera the other day, and caught some video of my student, Wendy, on a nicely powered reach into the beach, then a few seconds of us talking. Wendy told me she was an avid windsurfer in the ’80s, but had essentially not sailed since about 1996. It all seemed to come back to her, and she did great once the wind filled in a bit and we got her harness lines balanced, as you can see from this video! I’ve had a lot of students in the past year who are returning to windsurfing after 10 or 15 or even more years off – maybe the sport is having a revival! Ever since I started, in 1991, people have been telling me that it’s dying. Here you enter a portal to past boards and sails via a beach covered with washed up man made treasures of our infamous plastic bottles, bags and bits of stuff from boats long ago forgotten. There are stack upon stack of long boards, the sailors pull their long board from this pile all stored on the beach there is no cover. They pull their sail from a stack already rigged lying against the high stone wall which tries to keep the water from flooding the car park. These sailors come from the past, they have never seen Boards or Windsurfing Magazines, they speak only Chinese and anyway only Chinese are allowed on this beach because only Chinese can sail and actually only Men can sail. If I am lucky I just might get a little smile but not often. Yesterday I saw a Chinese guy show up he was wearing what we used to call daps (these were his sailing shoes) and a pair of plastic pants possibly in his mind to keep him dry, he pulled his scratched scuffed and full of holes long board from the pile it had long ago lost all its thousands of foot straps I think he had two left, he then dug deep into the pile of sails leaning against the wall (this pile stays here all year they are regularly beaten by the waves as are the boards) and pulled his out – it does not matter what the weather is doing he only has this rig. His sail was held together by some sort of luminescent green tape, the rest of what used to be transparent had gone opaque thanks to the elements. He dragged the sail to his board clipped them together and then checked his rig, two hand spans plus a guess measure the best place for his harness lines, a strong pull on his uphaul, which in fact is no more than a bit of old rope knotted together so many times where it had broken. He was off – he planed across the bay like a pro and his gybes well quite spectacular on a long board as the nose/bow of the long board rises high high out of the water as the rig turns. There are no/few women on the beach but I am in good company in my red tights. I saw one lady who comes quite regularly yesterday sailing in quite a special baseball cap covered in demonetise while another wears camouflage gear. The bay is a challenge with a near on shore wind that gusts every time you breathe as it has to make its way to the bay between some of Hong Kong’s tallest mountains, also there are hundreds of forgotten rowing boats some of which are submerged and some sunk. Then of course the best as you charge along if you can you see a plastic bottle no it’s not just a plastic bottle it marks an anchor point and from this plastic bottle runs a long piece of rope ready to capture your fin – geart !!!! Although you can stand in a number of spots you really do not want to – mmmmm I wonder what that is under foot, not stones, not sand, but yes very sludgy or and now I am on something very sharp Oh and now something is winding itself around my leg – interesting !!!!! On top of this you have to barter in Chinese to get a good price for parking the car and you have to pass all your gear over a massive wall to get it near to the water. 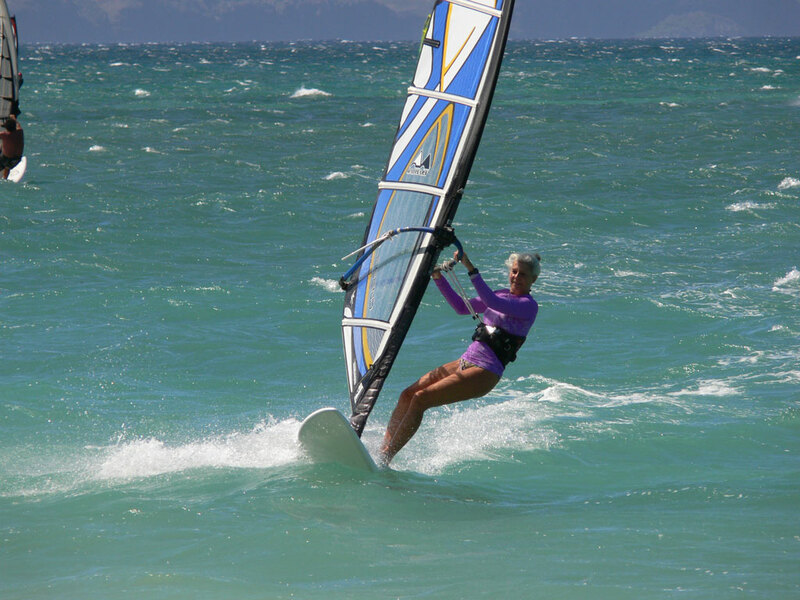 Actually it is fun and the characters are so entertaining – it’s our windsurfing spot. Help a local filmmaker WIN MONEY to support her project to build wells to provide water to villages in Africa! Jacqueline Simone Ambrose stopped in at the HST office the other day and told me about the film contest she’s entered. If you can spare 5 minutes to watch her video, please do! 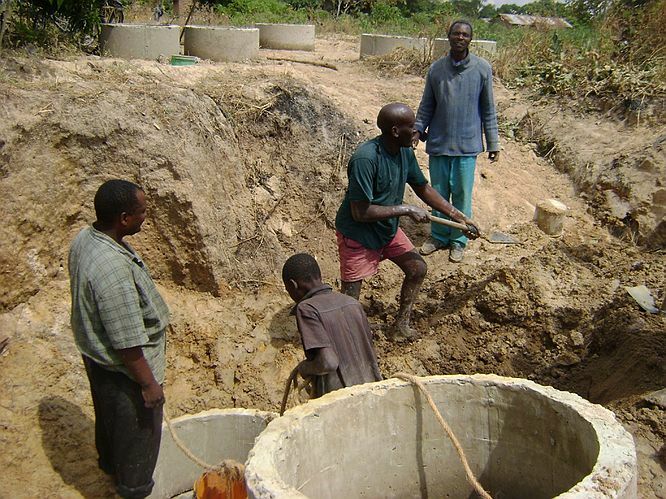 You’ll see what life is like in a small village in Tanzania, where she organized the building of a well, and some of the positive impacts resulting from it. Watch the film and vote! You can vote once per day. Voting closes September 15, so check it out now. If you have time, you might enjoy seeing some of the other inspiring videos in the contest. The contest is sponsored by the Bill and Melinda Gates Foundation, and the videos document ways people are working to reach the United Nations Millennium Development Goals to reduce poverty worldwide. About the contest. Read more about it in the Maui Weekly article, or check out the project website.